Flower Form: Small clusters (with regular pruning, most people eliminate flowers). Foliage Type: Medium green leaves. 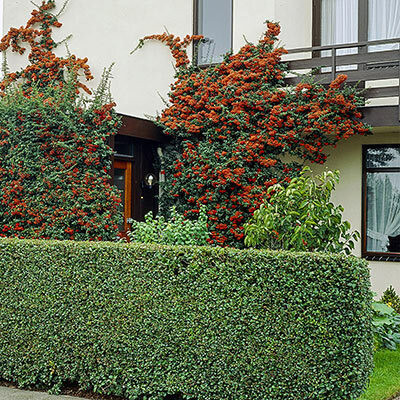 Pruning: Trim regularly to maintain as hedge. After flowering(or any time if flowers are unimportant). Soil Requirement: Adaptable to any soil except extremely wet.